International SOS Russia Health Insurance. 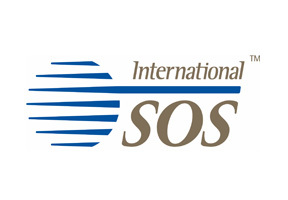 International SOS Health Insurance company began its existence as AEA international in 1985. Started by medical doctor working in Jakarta at the time, International SOS Health Insurance knows first hand the importance of receiving medical services of international standard especially when it concern life threatening issues. With over twenty five years of experience in international health insurance International SOS Health Insurance is a well rounded service provider that is capable of helping its clients in any situation they face whether they are home or away. Focusing on strategic locations for expatriates living and working in foreign countries International SOS Health Insurance is several steps ahead in anticipating their clients needs. In Russia International SOS Health Insurance has operating offices in Moscow (business and finance center) as well as in Yuzhno-Sakhalinsk that is a major center for expats working in oil and gas industries. The company also operates variety of services that aid its operations as a health insurance provider. International SOS operates air-ambulance network as well as alarm centers that are able to help their customers in a variety of situations not always concerning particular healthcare issues. If you would like to get more information about International SOS please fill in the query form at the top of this page. Alternatively you may contact us in order to seek expert advise directly from our knowledgeable Russia Health Insurance consultants.